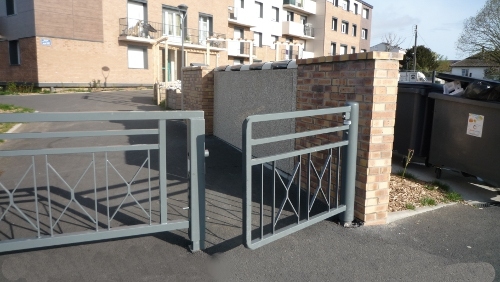 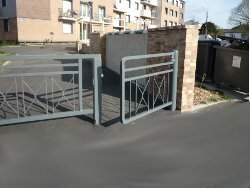 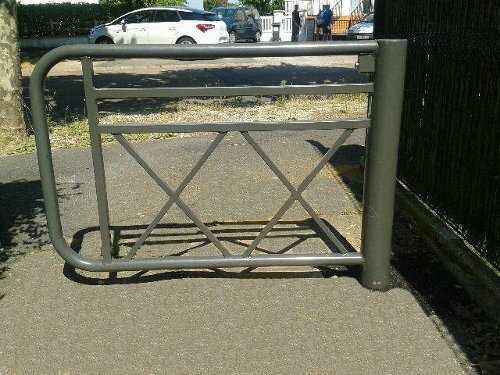 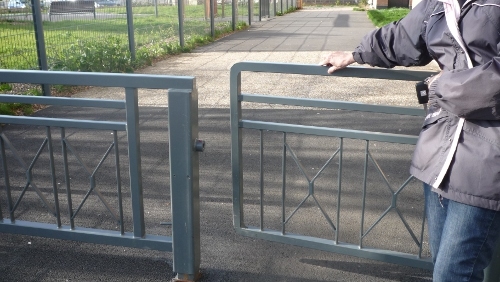 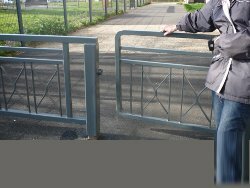 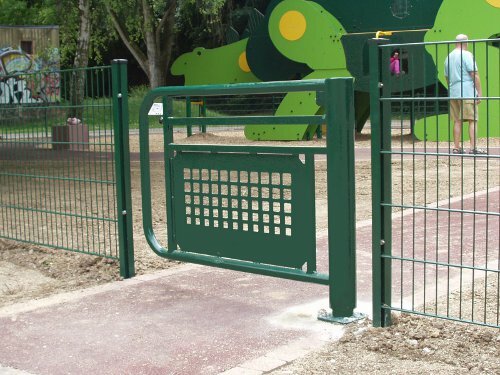 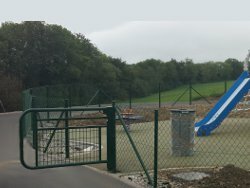 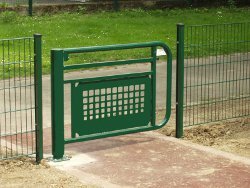 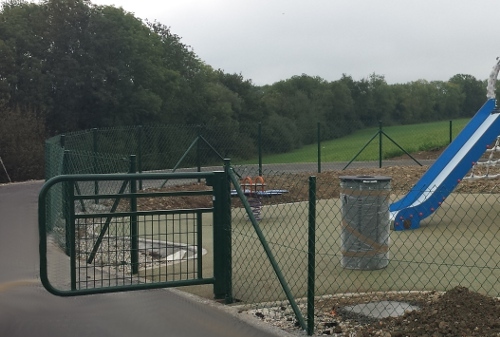 Mostly suitable for city parks or playground areas, this automatic gate opens itself regardless of the direction you approach it (entering or leaving the area), simply by pushing it. 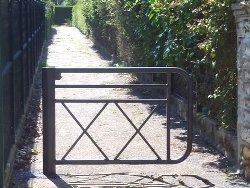 It will automatically close itself behind you, after you’ve gone through, thanks to its internal mechanism. 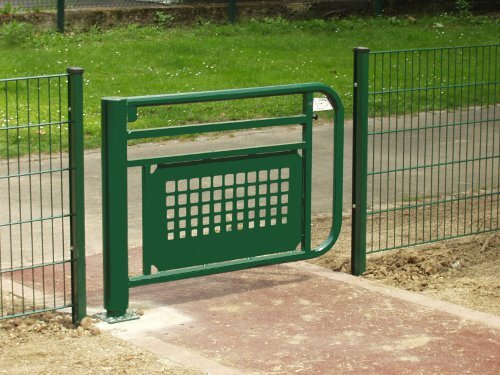 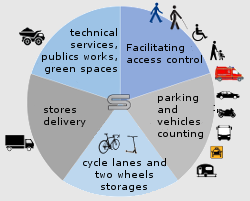 Security of users is assured and all risks of pinching is prevented (the gate’s mechanism being completely integrated in the pivoting pole). 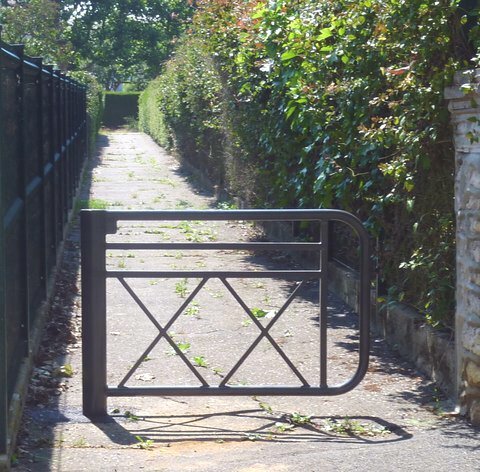 The gate can only open in one direction.